1. Keep Your Eyebrows Trimmed – If you want bigger looking eyes then the first thing to do is to keep your eyebrows well groomed. A set of properly trimmed eyebrows can bring a huge difference to overall look of your eyes by framing your eyes. 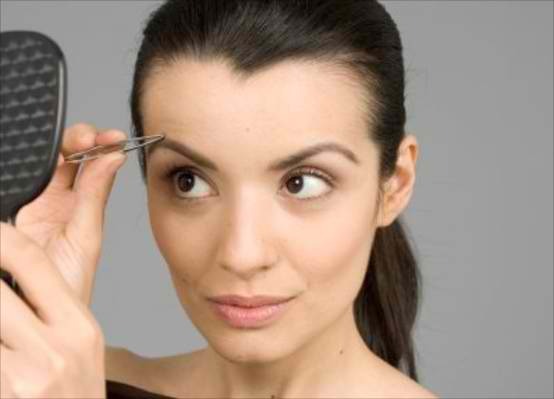 Stray hair around the brow will shift the focus from the eye and will make the eyelid look smaller. 2. Cover your Dark Circles – Always apply a concealer, preferably a shade darker than your skin tone (for us Indians), around the eye area to completely cover dark circles. This will make your eyes appear bigger and brighter. 3. Highlight the Key Areas – To shift focus on key areas, use highlighter on areas prone to get a shadow effect and make eyes appear bigger such as area under the brow bone, around the bridge of nose and around tear duct. 4. Inner Corner Trick – Lighten the inner corner of the eyes (area around the tear duct) by applying a white eye pencil to make your eyes look awake and more defined. Remember to smudge it so that it looks subtle. You can also pick up light shade shimmery eye pencils to create a party look. 5. Use a mix of Light and Dark Eyeshadow – Instead of smokey eye effect, we recommend you to pick and apply eyeshadow shades strategically. 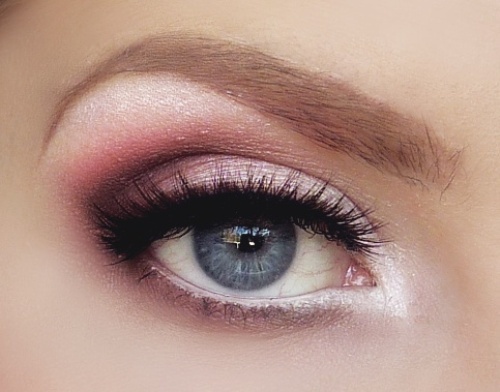 Use light shades such as lavender on upper lash line and use dark shades such as light brown on the crease of the eye lid. After this, blend in and apply the dark shade towards the outer corner of the eye to make them appear lifted and elongated. 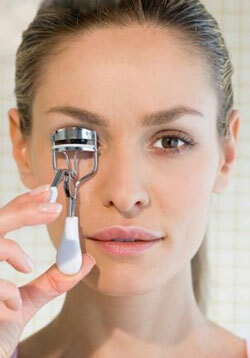 Doing this will help to create more depth in the eye area. 6. 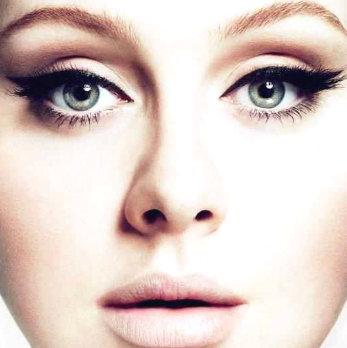 Do’s and Don’ts with the Eyeliner – Thick eyeliner, particularly black, on the lower lash line should be avoided. Instead, apply mascara on the lower eye lashes to keep it subtle. To line your upper eyelid, we recommend using liquid eyeliner. Create a thin line just along the lashes and away from the inner corner of the eye. An upward winged look, starting from the middle of your upper lash line and going to the outer corner will look stunning. Go with either brown or blue as they will give your eyes a proper definition. 7. Lashes and Mascara – A quick trick to make your eye look instantly bigger is to curl your lashes with an eye lash curler. After this, focus on the upper lashes and apply a length enhancing mascara.